Avoncroft Museum of Historic Buildings completed restoration work on the sails of its 19th-century windmill restoring it to working condition in late summer 2018. Following a break in sailing of over 18 months the much-loved windmill sailed again in the Autumn. The meticulously restored and replaced sails were subsequently lit up and sailed for the Museum’s Candlelit Christmas event. The Museum successfully raised over £25,000 to fund essential repair of one sail and replacement of the other three sails of its grade-II listed nineteenth-century windmill. Work to fit the sails was completed by millwright, David Empringham and team, with assistance from Avoncroft staff and volunteers. Avoncroft’s windmill is the last surviving “post mill” in the midlands. It was rescued from Danzey Green in Warwickshire by a team of volunteers in 1969, to be reconstructed in Avoncroft Museum where it is now recognised as one of the most popular of Avoncroft Museum’s historic buildings collection. A post mill was designed so that the entire central structure rotates on a huge central post allowing it always to face into the wind, to generate the maximum possible power. 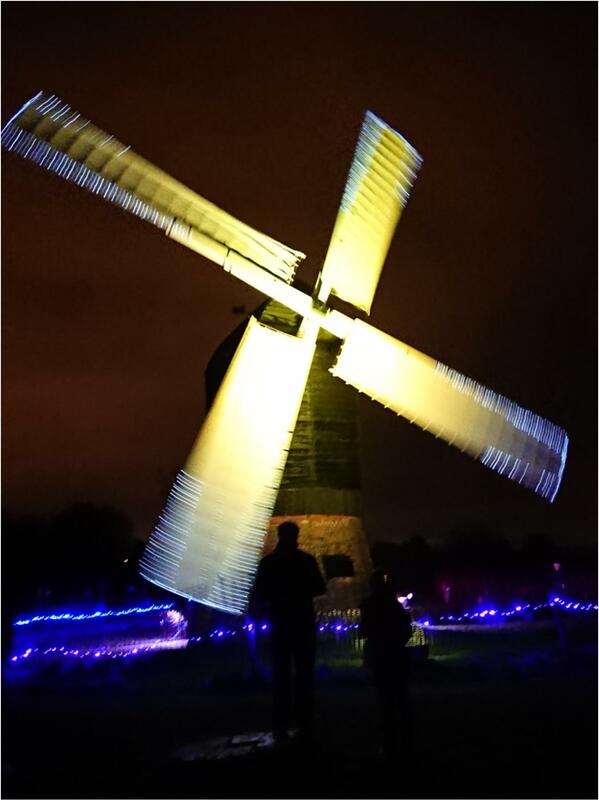 Anyone with an interest in becoming a windmill guide, or getting involved in the milling process is invited to contact volunteer@avoncroft.org.uk.